With the US continuing to push its submissive European “allies” towards an ever more confrontational stance towards Russia over the crisis in Ukraine (a crisis initially provoked by the US itself through CIA and State Department actions that led to the overthrow of Ukraine’s elected government), the world appears headed towards a dangerous renewed Cold War between the world’s two nuclear superpowers. 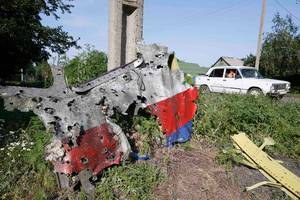 A central part of that campaign by Washington has been the effort to blame the downing of Malaysian Flight 17, which killed all 298 passengers and crew, on Russia, or failing that, on pro-Russian separatist rebels in eastern Ukraine. This campaign has used innuendo, falsified evidence and, weirdly, spurious and sometimes absurd “evidence” circulating in various social media — all of which which people like Secretary of State John Kerry and president Obama himself have tried to say “prove” that Russia, or at least a Russian-provided high-altitude BUK anti-aircraft missile, was responsible for the downing. But increasingly, critics, including analysts within the CIA, have been throwing cold water on that theory. Suspiciously, the US, which had a spy satellite located directly over the Malaysian plane at the very time of the shoot-down, and which certainly has detailed photographic images of exactly what happened, has offered no a single photo to prove its contention that a missile was fired from territory under rebel control. Meanwhile, there are multiple claims that the CIA — and perhaps the National Security Agency too — have evidence that it was Ukrainian forces, not separatists, who shot down the plane, either using one of the several dozen BUK launchers that they are known to possess themselves, or by two Ukrainian attack fighters that were known to be tailing the Malaysian commercial jet shoot it down with machine gun fire and/or air-to-air missiles. Significantly, a Canadian investigator with the international team sent to collect and examine pieces of the crashed airliner, has said he saw holes that appeared caused by heavy 30 mm machine-gun fire –the type of ammunition used by the fighter jets — in a section of the front of the Boeing jet, as well as in both sides. Such holes in the nose and both sides of the doomed plane could not have all been caused by the projectiles released by a BUK missile, which would have all hit the plane from one direction — reportedly normally from a location beneath the plane. A week ago, this reporter interviewed Ray McGovern, a former CIA analyst with 27 years of experience at the agency, about the Ukraine crisis, on ThisCantBeHappening!’s weekly radio show that airs each Wednesday at 5 pm Eastern Time on the Progressive Radio Network (PRN.fm). McGovern says on that program that sources he knows who are still at the CIA say that the agency has refused to back the US claim that separatists or Russia were behind the shoot-down of Flight 17.